Are you a licensed beauty professional who is looking to amp up your education? To bolster your beauty business? Our new affiliate partnership with the National American University (NAU) might be the perfect opportunity to help you to reach your beauty business goals. This is a very special affiliate program where you can receive tuition savings and have the beauty school credits you’ve already earned applied toward your associates or even a masters degree from NAU. Learn more about how this new program can benefit you and your beauty career goals below. As an affiliate institution, NAU is offering Broken Arrow Beauty College (BABC) students and graduates the ability to save on the cost of tuition and have their beauty school credits applied toward a NAU degree. While anyone who has beauty school experience and is licensed in the state of Oklahoma is eligible, our articulation agreement with NAU provides strict standards and exclusive benefits for those who enroll after attending BABC. You can select from several beauty business degree options, such as an associate of applied science degree (A.A.S.) in their Health and Beauty Management program. You can also choose to earn your bachelor’s of science (BS) or even a master’s degree in Management, too. Each of these options allow you to take courses focused on how to build, run, and succeed in your beauty business. Graduates from each of the beauty programs at Broken Arrow Beauty College are eligible: cosmetology, esthetics, master instructor and manicurist. The beauty of this continued education option is you you can go beyond the vocational training of beauty and focus on learning the business side of your beauty industry goals. Supplement your vocational beauty school training with further education to receive an understanding of small business management, development, and accounting skills crucial to running a successful business of your own. Who is National American University? 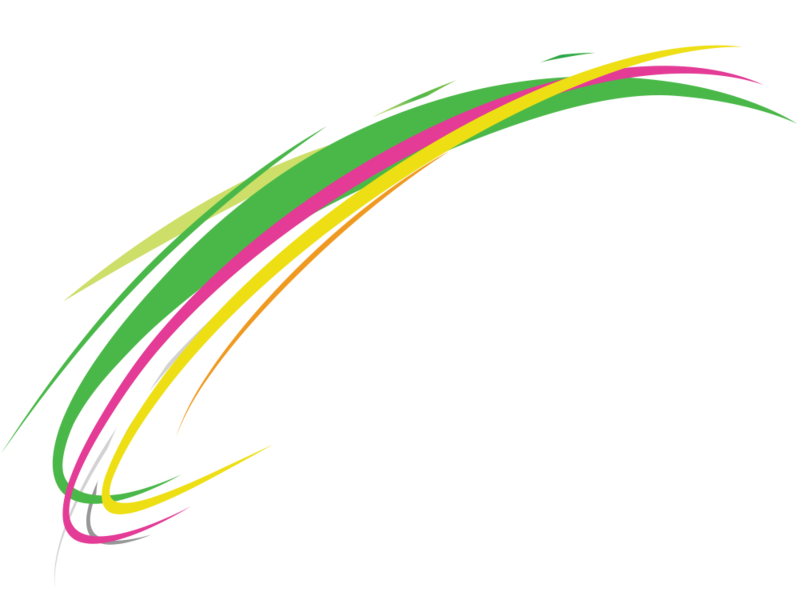 National American University was established in 1941, with campuses in ten states and offering over 60 online courses. They are a well-known post-secondary school, accredited by the Higher Learning Commission, who offers a variety of programs designed for students straight out of high school or with real-world experience alike. Beginning with a passion for helping women join and succeed in the workforce, NAU has been educating men and women for over 70 years. We believe that partnering with them allows us to provide a unique opportunity for our licensed graduates with full confidence in NAU’s Health and Beauty Management degree program. What does this affiliate partnership program mean for you? It means that you can add focused business management education to the beauty program education you have already received from BABC. Depending on the degree you select and your course schedule, you can even earn your A.A.S in as little as 9 months! You’ll be able to choose from a variety of classes in humanities, math, or behavioral sciences at NAU as well as take specific courses such as: Mastering Cosmetology Business, Interpersonal Professional Communication, Principles of Management, or Financial Accounting for Managers. This partnership agreement also provides licensed BABC graduates with tuition savings that are hard to beat. Depending on the type of enrollment, tuition savings can be up to $620 per quarter (or $2,480 a year.) Financial aid is available to those who qualify; minimum credit requirements might apply. If you decide to enroll in these beauty business related degree programs, NAU will apply a credit toward your credit hour total. The credits that you already earned in beauty school will actually be applied toward your credits at NAU! For example, if you enroll in their 90 hour A.A.S. degree course, they will apply 60 credit hours leaving you with only 30 hours to complete within their program. If you select to move on to the master’s program, your tuition reduction goes along with you. Plus, if you plan ahead and maximize this opportunity while earning your bachelor’s degree, you can even earn concurrent credits (dual credit hours) toward your master’s degree in Management. It’s an educational partnership gift that keeps on giving! If you dream of building a beauty empire or owning and operating a successful salon or spa one day, learning business management is a must! Continue your beauty education and learn how to build your business with NAU after you attend BABC. Build upon your beauty school education with this very special opportunity. If you still need to enroll in beauty school, contact BABC today! 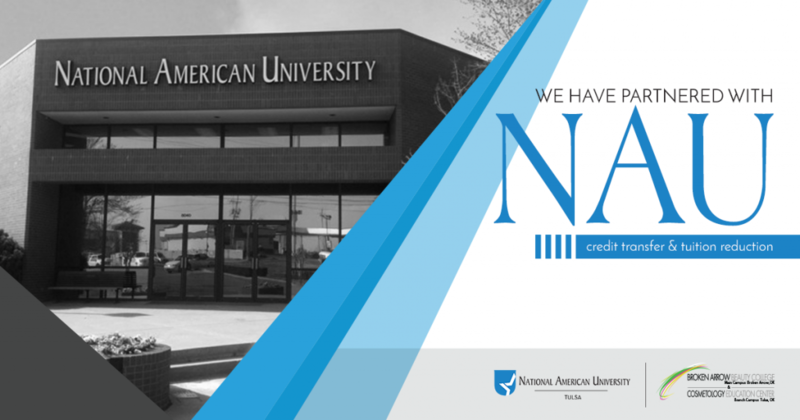 For inquiries, contact National American University at their Tulsa campus or give them a call at ​​918-879-8400 today!